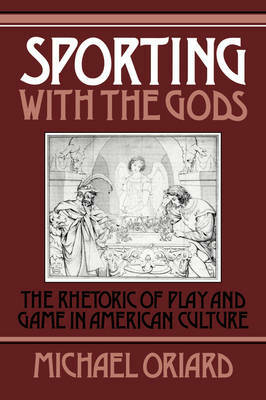 Sporting with the Gods examines the metaphors of 'play', 'game' and 'sport' as they are reflected in American literature and culture. The 'race' for salvation and success, the great 'games' of business and politics, the distinctive American version of 'fair play', the desperate 'game' against an all-powerful opponent and the cruelties of chance and fate by which man becomes the 'sport of the gods' - all of these metaphors touch fundamental American beliefs about fate and freedom, competition and chance, finitude and possibility. The book traces the cultural history of these metaphors primarily through American literary texts (from Cooper and Hawthorne to Updike and Mailer) but also through a wide range of nonliterary writings (sermons, dime novels, success writing, countercultural manifestoes, political rhetoric, etc.). The result is a cultural history of America from its inception.